PORTLAND — The focus on measles in the Pacific Northwest continues as public-health officials in Oregon deal with new incidents of the highly contagious disease, and on Friday announced a case unrelated to the Washington state outbreak that’s sickened 71 people so far. An unvaccinated Illinois resident who spent time overseas visited Portland International Airport and various locations in Salem, Oregon, late last month while contagious with measles, the Oregon Health Authority said. Potential exposure locations include a Red Robin restaurant and a trampoline fun park in Salem, officials said. The case is unrelated to the outbreak in Southwest Washington. Public-health officials in Clark County have identified new cases this week and the number there, as of Saturday, stood at 70. The Clark County cases equal more than 40 percent of the number reported nationwide since Jan. 1, the Centers for Disease Control and Prevention said in updated statistics released Friday. There have been 159 measles cases identified nationwide through Feb. 21, the CDC said, and Washington accounted for 69 of those. There have been six outbreaks nationwide, including in Illinois, Texas, New York City, and Monroe and Rockland counties in New York state. An outbreak is defined as three or more cases at a time. In, Oregon’s Multnomah County on Friday had identified four people with measles linked to the outbreak and two not linked to the outbreak. One man in King County also had measles. The viral illness has a long incubation period and 21 days must pass without a new case before the outbreak could be considered over, said Dr. Alan Melnick, public-health director in Clark County in Washington. 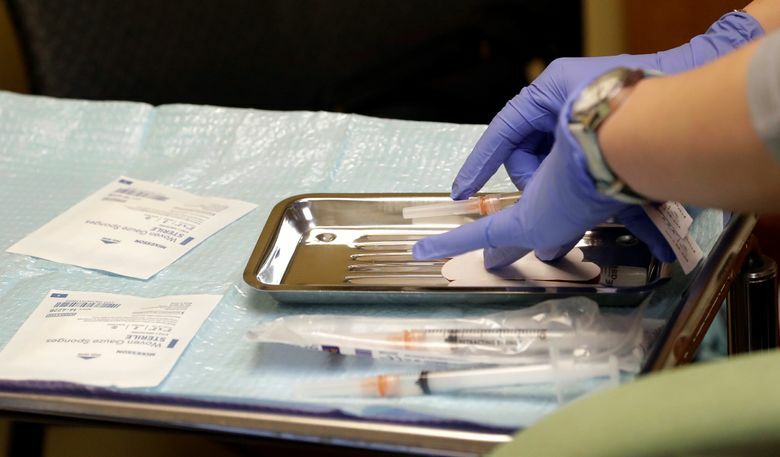 State legislatures in Washington and Oregon are considering laws that would remove nonmedical exemptions for the routinely administered measles vaccine. Both states currently allow parents to opt out of the measles immunizations if they have a religious or philosophical objection.